California-based toy manufacturer Imperial Toy has struck a licensing agreement with licensor MGA Entertainment to produce consumer products based on the Lalaloopsy brand of collectable rag dolls for girls ages four to six. Imperial Toy, which is also MGA’s licensee for preschool brand Little Tikes, will make Lalaloopsy novelty toys, including play lanterns, projectors, wind-up toys and flashlights, available in the fall this year while bubble toys, sand and beach toys will hit US retailers in spring 2013. 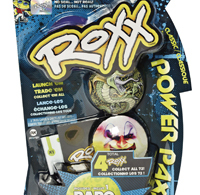 The bubble toy line will feature single and multi-packs of bubbles, bubble bottles, jewelry, machines, party favors and bubble toys. The sand and beach line will include buckets, sand molds, shovels, sifters, and sprinklers. 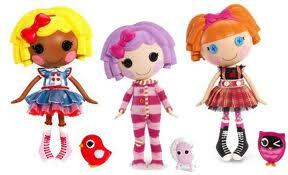 The deal comes on the heels of MGA recently partnering with Biplano to grow the Lalaloopsy brand in France and Spain. The Lalaloopsy brand includes playsets, dolls and accessories, fashion packs, miniature collectibles, carrying cases and new video games by Activision.